So if Wellness Programs don’t really reduce health care costs or impact ROI, then why should companies provide them? I will tell you why. First and foremost would be to improve employee recruitment and retention. Wellness, as part of the benefits package can be a factor when candidates are deciding to accept a job offer, or not. A Virgin HealthMiles/Workforce survey did conclude that 87% of employees said they consider health and wellness offerings when choosing an employer. There is a high level of employee interest in a company’s wellness program according to the latest Principal Financial Well-Being Index, “they found most workers are interested in wellness programs that improve their physical fitness, with 27 percent saying they would like in-office fitness facilities, 23 percent citing fitness center discounts and 19 percent expressing interest in weight management programs” (Business Wire). The index, which surveys American workers at growing businesses with 10-1,000 employees, is released by Principal Financial Group, a benefits provider. These findings focusing on wellness attitudes and behaviors among American workers were taken from the fourth quarter 2009 Index. Organizational wellness could also be much more than that. Establishing policies and aligning that with company culture can make it easy for employees to enhance their own sense of well-being. A successful workplace wellness program starts with company leaders. A supportive management team that takes part in the company’s fitness program can demonstrate the importance of adopting a healthy lifestyle and can promote those health benefits by sharing their story and being involved in the program. Management can lead by example and be an excellent role model for the program. “Workplace policies that encourage healthy lifestyles will offer a supportive environment that provides opportunities to practice and reinforce healthy behaviors, a safe working environment free of workplace hazards, and a strong employee leadership network to manage the program. Creating and implementing these types of policies and environmental supports in the organization requires leadership from senior managers and strong cross-functional collaboration outside of the traditional structures for workplace health, safety, and wellness” ( Model Wellness Guide, Massachusetts Department of Public). Not every employee is going to partake in the wellness program, and many of them are the ones that need it the most, but by offering them tools and reinforcing the company’s support of health-minded activities, it can inspire participation. An increased emphasis on health and wellness is quickly becoming standard practice in the business world and it is certainly smart to implement proactive measures that encourage healthier habits since our health is highly affected by our diet and activity level. Americans generally enjoy a long life expectancy and most people are staying in the workforce longer, therefore quality of life becomes a big consideration. Learning the skill to combat an unhealthy lifestyle that creates disease and a dependence on prescription drugs is an invaluable benefit that could make the difference in having a healthy, happy and productive team. Workplace Wellness; We have the Data, but are We Using it Correctly? In the early days of wellness programs, we had to dig deep to find the scientific research to show that improving employee health behaviors would have a demonstrated ROI. While working in the corporate world, many times, I was tasked with developing wellness programs for employees and at the same time, needing to demonstrate how these programs would add value to the Boards and Upper Management. “The evidence for the advantages of worksite wellness was scarce; nonetheless, the belief that workplace health promotion brings benefits to a company by having a positive impact on employees was becoming a popular concept among managers who started supporting such programs more widely” (Pencak, 1991). There just weren’t enough studies, now after nearly two decades the data is in. Wellness and health promotion programs are thought to reduce employee absenteeism and increase healthy behaviors all the while lowering health care costs. The Johnson & Johnson program, one of the best-known and longest-running workplace programs in the United States quickly became our prototype. That program used a questionnaire and physical assessment to establish a person’s risk and then the company provided support to help control those behaviors, such as, nutrition and stress management. Their most recent evaluation suggested a return on investment in a range of $1.88–$3.92 saved for every dollar spent. “About four-fifths of all U.S. employers with more than 1,000 employees are estimated to offer such programs” (Mattke, Kapinos, Caloyeras, Taylor, Batorsky, Liu, Newberry (2015 et.al). However, a recent study published in Rand Health Quarterly seems to contradict these findings and paint a very different picture of the ability for workplace wellness programs to reduce costs and offer a ROI. “In this study, we analyzed whether cost savings might be realized in higher-risk employees and in those who are more engaged in the program, but we found no evidence to support this hypothesis” (Mattke, Kapinos, Caloyeras, Taylor, Batorsky, Liu, Newberry (2015 et.al). We have to acknowledge the distinct possibility that our wellness programs may not be impacting the bottom line as cost-effectively as we would like. Most employers use the cost and cost-effectiveness as the main criteria in adopting a wellness program. So how, and/or why, do we design and fund health promotion and preventive care benefits that may not offer real health care cost savings? The number one answer is to retain top talent. Employees and potential employees want to know and feel that the company puts a priority on employee well-being. The focus of that well-being should go beyond weight loss and smoking cessation and incorporate the five essential elements of well-being as described in a Gallup designed assessment. These elements are the currency of a life that matters. They do not include every nuance of what’s important in life, but they do represent five broad categories that are essential to most people. what you do every day: your Career Well-Being. your life: your Social Well-Being. get things done on a daily basis: your Physical Well-Being. area where you live: your Community Well-Being. Designing a wellness program aimed at success is one that will by default positively affect the bottom line. Absenteeism, turnover, and talent attraction are all affected when employees enjoy their work and feel productive and engaged. Wellness is connected to Well-Being and this includes balance, resiliency, purpose, gratitude, and relationships. Finding programs that include these topics from various mediums can provide employees with ways to address and enhance their well-being, as well as, their health and productivity. These health and productivity programs could be incentives and activities designed to boost an employees’ overall well-being. Without a doubt, a workforce of employees that maintain good health and lifestyle behaviors directly affects the bottom line positively. Gallup, G., & Hill, E. (1960). The secrets of a long life. New York: Bernard Geis. Mattke, S., Kapinos, K., Caloyeras, J. P., Taylor, E. A., Batorsky, B., Liu, H., … Newberry, S. (2015). Workplace Wellness Programs: Services Offered, Participation, and Incentives. Rand Health Quarterly, 5(2), 7. Pencak, M. (1991). Workplace health promotion programs: An overview. The Nursing Clinics of North America, 26(1), 233–240. Well we had the annual Spring Forward time change and the Spring Equinox this week and a full moon is coming. The days are longer and the temperatures are warmer and all this sunlight has made the trees sprout their leaves. All the birds are pairing up and so it begins the cycle of rebirth. Allergies aside, Spring fever is definitely on the rise and this gave me an excuse to learn more about Ostara, is it a day, or a Goddess? Ostara is celebrated as the Spring Equinox, but is also the name given to the White Goddess of the Dawn. She is scant mentioned in the scholarly writing’s of Bede, the Christian Monk, aka, Saint Bede right around the 5th Century. My Anglo-Saxon ancestors would have held festivals in her honor during Eostremonath,since they, like my Celtic ancestors, would have celebrated the Wheel of the Year and the Sabbats. 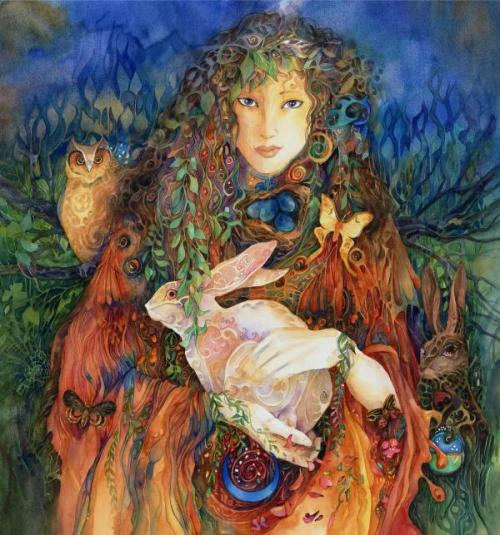 I like to think of Ostara like this……. She embodies earthly renewal and rebirth of nature and is associated with the eggs and the hare. The hare is associated with the moon and the egg motif is found in the creation myths of many cultures and civilizations around the world. The rebirth myth was adopted by the Christians as Jesus being reborn. The motif of a dying deity appears in the creation mythologies of many ancient cultures all through antiquity. “The springtime/Easter resurrection myth occurred in Greek mythology with the tale of Kore/Persephone descending into the underworld to reside with Hades, leading to the death of winter. Her re-emergence out of the underworld represented the springtime renewal of life on Earth – thus, Persephone’s resurrection symbolized eternal life, precisely as did that of Jesus and the Egyptian god Osiris. 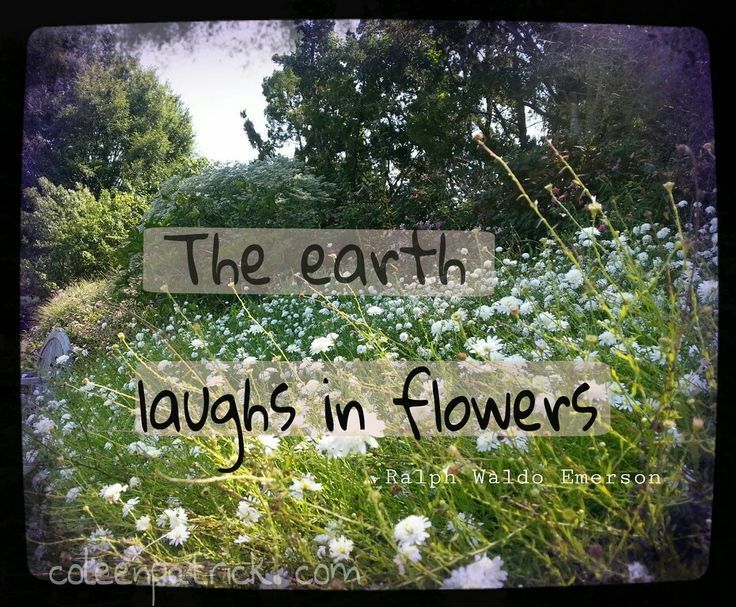 I believe that Spring is a time to align with the energy of the season and honour the rhythm of the Earth. It could be a time to reflect and do some mental Spring cleaning and maybe facilitate some growth and evolution into your life as a form of renewal. It is a time to celebrate and thank God that the Sun will come out tomorrow! 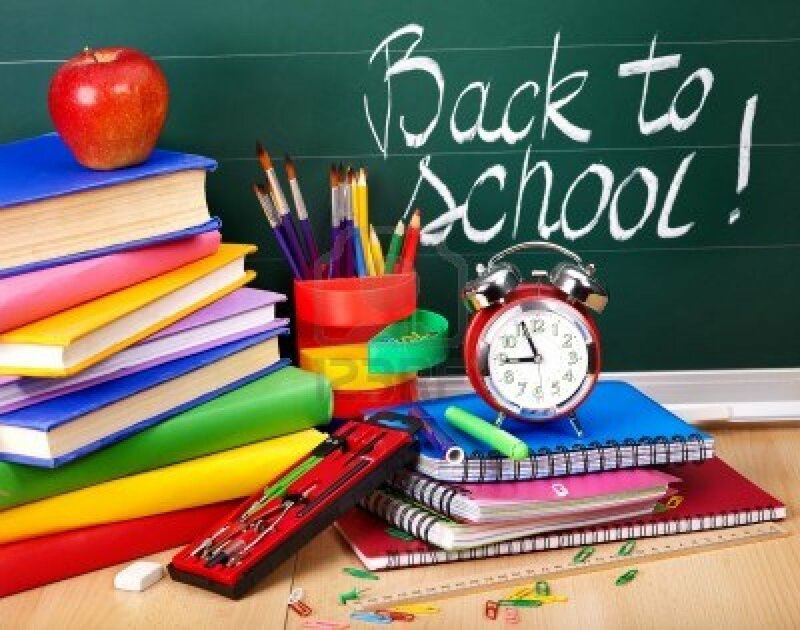 Well today is the first day of school for many kiddos in Texas. I am sure that for them today brings with it a mix of emotions ranging from fear and dread to anticipatory glee, depending on which grade they are entering, if their friends are in the same class, which teacher they got and how well they perform within the public school system. Being the last of the Baby Boomer generation, I remember when I heard the words “back to school” and was filled with complete dread and grief over the ending of those summer days where we had no time schedule and swam at the local pool all day, of course going back to school also signaled that the seasons were changing and Halloween was coming. I remember that a sweater was always an essential part of my new school attire, when I think back, I remember September mornings were a little chilly and according to NOAA’s historical climate data, the average temp in September 1970 was 79°, with the low being 55°. Weather.com states that most of the Southwest and all of Texas has been warming at more than 1°F per decade. Kids today don’t need sweaters and very few of them need any #2 pencils thanks to technology. I believe that the generations following the Boomers’ are smarter, or definitely could be thanks to Google. Back in the day, the powers that be assessed our knowledge with the annual Achievement Test, where we spent two days answering and filling in bubble tests. Today student achievement data trends show that math and reading scores have increased over the last three decades for kids in the US. Teachers today have the ability to incorporate global learning on a scale like never before. Paperless classrooms and no textbooks will prepare students for the future and our new technical paradigm; I am still undecided about where these kids will find their inspiration. It could be that in the new world, technology will motivate students to learn, or it could be that students who are not self-motivated will undergo an evolutionary shift, a “survival of the technological fittest”, if you will. Professor Al-Rodhan believes that humanity will experience “Inevitable Transhumanism” where humans will enhance their abilities through the convergence and adoption of a number of emerging technologies and engineer their own evolution. In “Inevitable Transhumanism? How Emerging Strategic Technologies will affect the Future of Humanity”, Prof. Al-Rodhan postulates that technology will have tremendous potential to impact the future of humanity. That gives a whole new meaning to “No Child Left Behind”.